The Tanner-Fuller clan returns December 14 for a brand-new season of love, laughs, and (of course) HUGS! Come on in, the door is always open. The trailer for Fuller House Season 4 has arrived. And if you're not carful, Stephanie will go full Womb-Zilla on you! Fuller House Season 4 will finally let D.J. and Steve get their couple on, with most of the Netflix trailer devoted to their courtship, which can finally blossom after all these years. We also get to see Stephanie being way too over protective of the baby brewing in Kimmy's tummy, as the pregnancy grows ever closer to actually happening. Fernando reveals why the girls can never kick him out of the house, because the front door is never locked. Which probably isn't the safest thing for anyone living in the heart of San Francisco. Fernando, sipping on his mate, doesn't seem all that threatening, but beyond the fourth wall of sitcom life lives all kinds of weirdos and creeps that could stroll in at any minute. But Netflix would never let the show go that dark, would it? There is going to be a big Christmas episode, as evidenced by all the holiday decorations looming in the background. We even get Uncle Joey dressed up as Santa. D.J. goes all out in getting ready for her big date with Steve, which turns into a La La Land parody, as the rejuvenated couple go dancing in the streets of San Francisco. It's not as epic as the opening number in that Oscar nominated musical, but what do you expect from a show that is shot almost entirely on a sound stage. It's charming none the less. Inside the house, we get to see Kimmy and Stephanie further developing their decades long relationship. In a touching moment that will have you reaching for the Kleenex, Stephanie calls Kimmy her friend for the first time, and you can literally hear the live studio audience melting. D.J., Kimmy and Stephanie aren't the only points of interest. Jackson is looking for a real relationship, and he may have found it. Uncle Jesse and Aunt Becky get a beautiful moment between the long-standing couple, and a kiss. The girls pretend to be Charlie's Angels in a fancy restraunt. There's just so much wacky going on here, the entire run of Full House may have just been out whacked. The trailer ends with dancing. A lot of dancing. And hugs. And kisses. And it all comes to en end with Becky and Danny on their morning show, welcoming us all back into the Tanner-Fuller household. It's all a little much, and will have you feeling all the feelings at once. 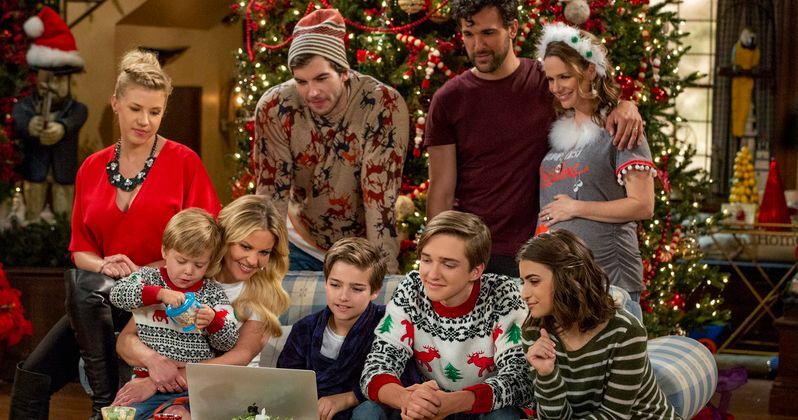 It's a big explosion of joy and Christmas spirit, that will leave you wanting to binge the entire season as soon as it's ready to stream in just a couple of weeks. This latest Fuller House trailer arrives direct from Netflix streaming Youtube channel.